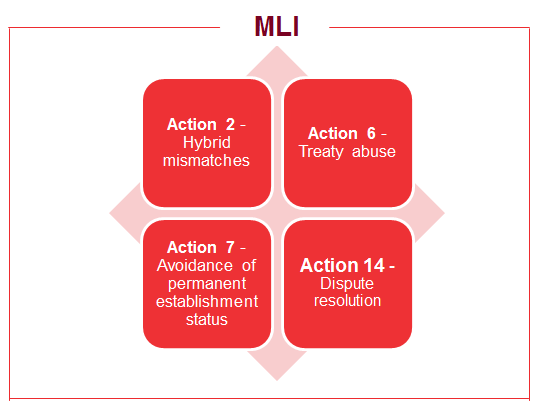 On 14 February 2019, the Luxembourg Parliament (Chambre des Députés) adopted bill of law 7333 ("Law") implementing the Multilateral Convention to Implement Tax Treaty Related Measures ("MLI") to Prevent Base Erosion Profit Shifting ("BEPS"). The Law reflects Luxembourg's position on the MLI notified to the OECD upon signature on 7 June 2017. The Law should affect the 81 double tax treaties ("DTTs") that Luxembourg signed with other jurisdictions. The entry into force of the MLI provisions in Luxembourg will be on the first day of the month following three calendar months after the date of deposit of the instrument of ratification by Luxembourg, which will most likely be 1 June or 1 July 2019 depending on the date of the deposit. For withholding tax, the Law should apply as of 1 January 2020, while for the other taxes, the Law should start having effect on taxable periods beginning on or after the expiration of six calendar months from the date of entry into force, which should be either December 2019 or January 2020 depending on the date of entry into force (i.e., 1 June or 1 July 2019). * Bill of law 7333 was adopted on 14.02.2019 but has not yet been published in the Memorial. ** Based on the assumption that the instrument will be deposited with the OECD in March 2019. Action 2, or a best practice category, such as Action 14 (partially, excluding MAP).